This is a great grouping. This is a set of three pieces. 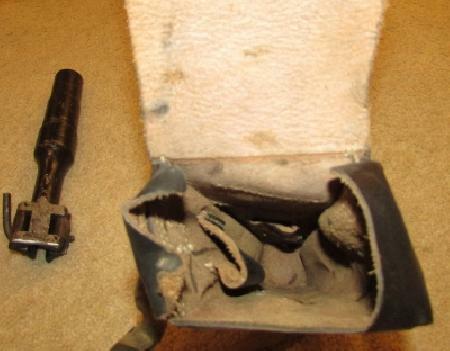 A WWII German Mauser Rifle Grenade launcher, the pouch for the launcher dated 1942 and an original anti-personnel rifle grenade dated 1943-1944. The launcher has been painted due to some light to moderate pitting across the surface. Overall its not terrible and does not affect the overall appearance of the launcher. 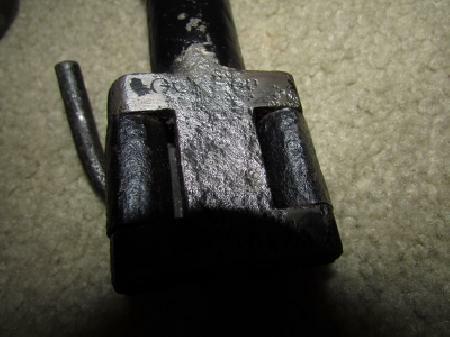 The muzzle clamps work so that it can be put onto the muzzle of a standard Mauser rifle. The official name was Schiessbecher or cup launcher. 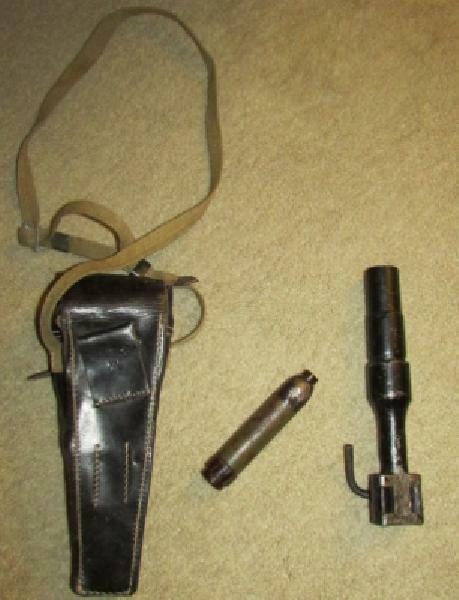 The pouch is in near mint condition and has the Afrika Korps style webbing strap. 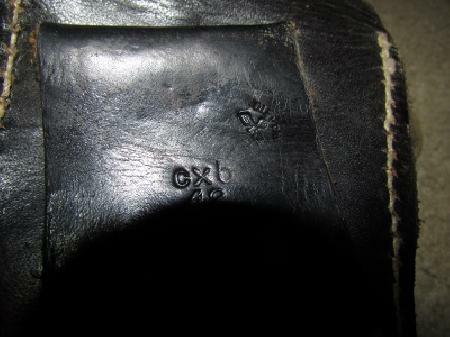 The leather is almost perfect with the exception of minor storage/ service wear. 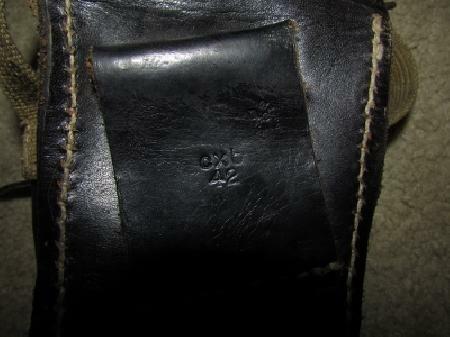 It is dated 1942 with a mfg mark of "CXB" and it has one strong "Waffen Amt" stamping above the date. 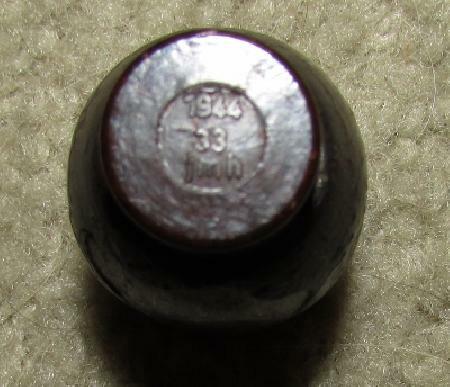 The inside has little to no staining present. 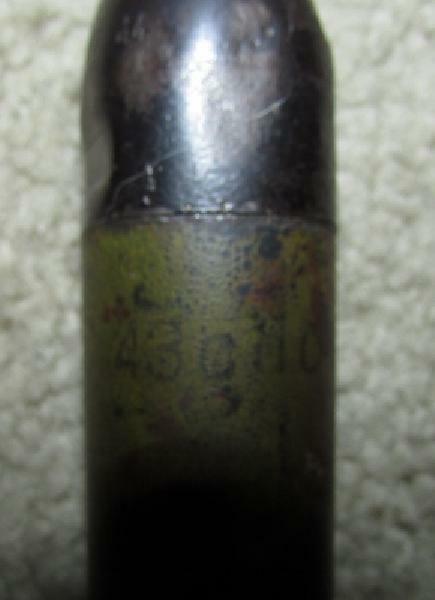 The Anti-personnel rifle grenade is in very good condition with the exception of a area of missing paint to the head of the round. 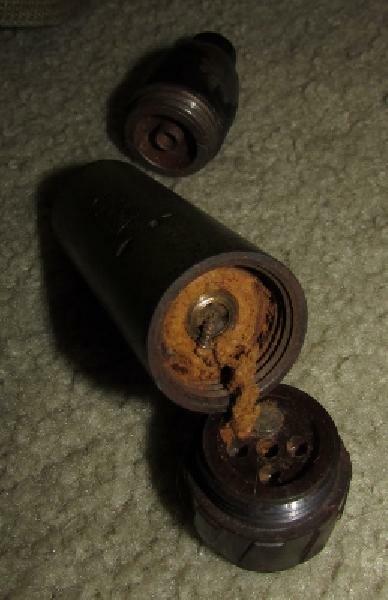 The condition is so good that 75% to 80% of the original paint remains as well as the original string in the base of the grenade to activate it as a hand grenade. These could be used either way by firing it out of a rifle or by pulling the base and throwing it like a regular grenade. 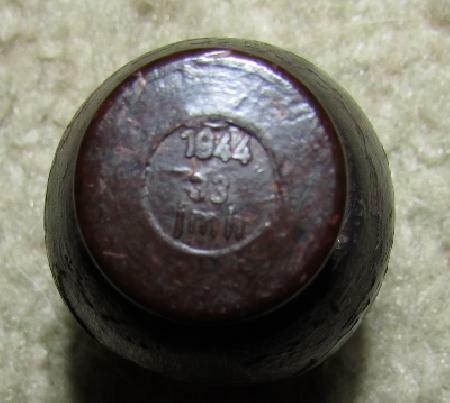 The paint around the body of the grenade displays a 1943 date where as the Bakelite cap displays a 1944 date. This has been deactivated. 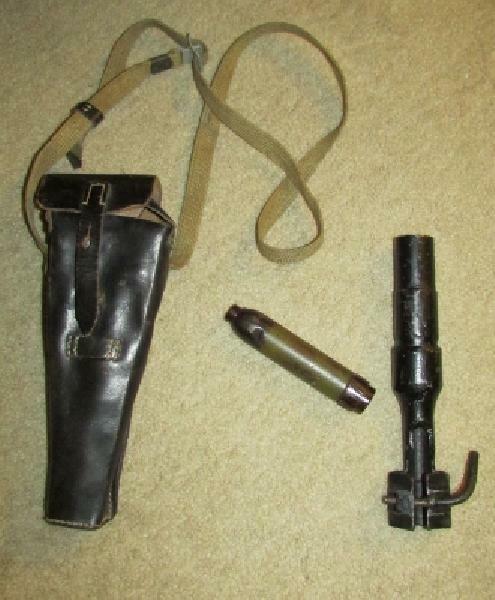 Overall a great way to get a nice rifle grenade display for your Mauser rifle.